From Mediaite: Last year, Billy Crystal hosted the Oscars. He didn’t quite attract the young audience that producers were hoping to have tune in. According to Mediaite, “[T]hat’s been something that the telecasts producers have been trying to change for years with much failure (anyone remember the James Franco/Anne Hathaway combo show tune and performance art year?). 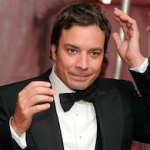 However, they might be getting the host to do it this year with none other than Jimmy Fallon. 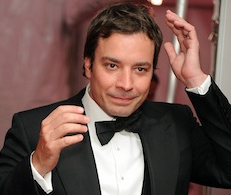 The LA Times is reporting that Fallon is currently in talks to emcee the show. The former SNL cast member, current talk show host, and (perhaps most importantly) experienced awards show hostwould bring along Lorne Michaels to produce the affair.” But what would happen with the battling networks (ABC, the producers, and NBC, the talent)? Read more here. From Gossip Cop: As the Robert Pattinson / Kristen Stewart cheating scandal continues to unfold, Reese Witherspoon has been thrown in to the mix, and Gossip Cop is there to keep track of fact versus fiction. The site reports that, according to RadarOnline, “Reese Witherspoon ‘reached out’ to Pattinson after Stewart’s indiscretion with Rupert Sanders came to light, because she’d endured a similar scandal and wanted to give her Water for Elephants co-star ‘a place to stay and a shoulder to cry on,'” referring to her public break-up when her ex-husband Ryan Phillippe cheated. However, Gossip Cop clears up the situation: “A source close to Witherspoon tells Gossip Cop the actress’ interaction with Pattinson is not and has not been guided by her history with Phillippe.” Read the whole article here. From Geekosystem: So just how accurate is the information you get from Wikipedia, often the first source of fact-checking for the internet generation? 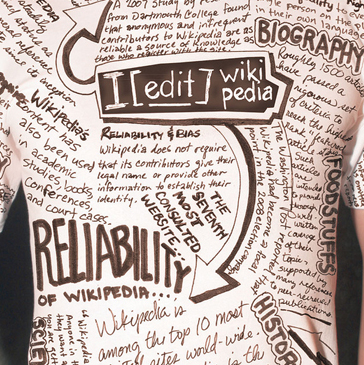 Reports Geekosystem, “Wikipedia has never been cited as a sterling example of accuracy. Academics tend to shy away from the site due to the public access given to just about anyone. That said, a number of people continue to use the site as a sort of factual first response. 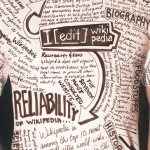 Last November, the Wikimedia Foundation brought in Epic, an e-learning company, and Oxford University researchers to make an organized analysis of Wikipedia’s accuracy. The results are in and somewhat suspiciously favorable. Even though both the Wikimedia Foundation and Epic go on at length that the sample size used doesn’t provide any kind of general statement about the health and accuracy of Wikipedia, it does show that those samples taken were more accurate than comparative examples.” Read more about the study here. From Styleite: How much would you pay for a bottle of nail polish? $3? $7? $15? How about $250,000? 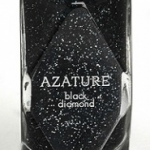 Styleite reports that now you can spend that much thanks to Azature‘s newest offering: “The self-declared ‘king of black diamonds’ is now producing a one-of-a-kind bottle of glitzy, diamond-infused laquer that will set you back a staggering $250,000. 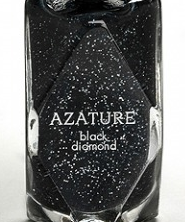 The polish beats out Model’s Own $130,000 Gold Rush Couture shade for the coveted title of ‘most expensive nail polish in the world.’ Whereas the gold version merely came ina diamond-encrusted bottle, Azature’s version contains 267-carats in the polish itself. So while you may find yourself in debt for the next decade or two, dahling, your nails will look utterly fabulous!” Read more about it here. 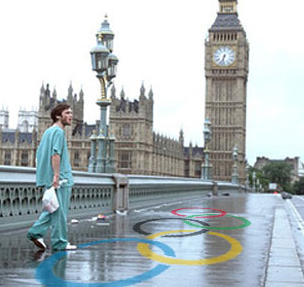 From SportsGrid: There’s been a lot of talk about a few things during the Olympics so far. One of them is NBC’s tape delay, and the other is men’s swimming. Last night, those two things combined in a stroke of genius. Reports Sportsgrid, “We thought nothing good would ever come of the dysfunctional marriage between Olympics and tape delay. We were mostly right, but not completely. Tyler Clary, who upset Ryan Lochte to win gold in the 200m backstroke at around 9 p.m. in London on Thursday, stayed up until it was 10 p.m. on the East Coast (3 a.m. in London) to live tweet the same race when it aired in the States. Take that, tape delay! BURN!” Read more and see Clary’s tweets here. 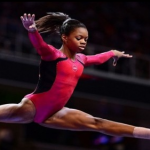 From The Mary Sue: Catching you up with everything you might have missed at the Olympics, The Mary Sue writes a round-up dedicated to the incredible female athletes of the games. Today, they report on some history-making: “American gymnast Gabrielle Douglas clinched the women’s individual all-around gold, becoming the first African-American Olympic all-around champion. South Korea’s Jangmi Kim won the country’s first medal ever during the women’s 25m pistol event; China’s Ying Chen came in 2nd, and Ukraine’s Olena Kostevych came in 3rd. 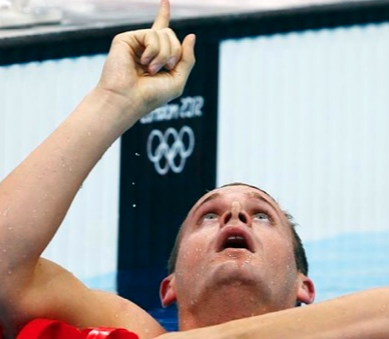 American Rebecca Soni set a world record during the women’s 200m breaststroke; Satomi Suzuki of Japan placed in 2nd, and Iulilia Efimova of Russia placed in 3rd.” Read more of the women’s achievements here. From The Jane Dough: Did you love Magic Mike? Do you want more of it? Lucky for those fans in New Orleans, because Channing Tatum has some plans. Reports The Jane Dough, “[S]tar Channing Tatum will keep the spirit of the flick alive by starting a similar-themed bar in New Orleans. InTouch reports that the 32-year-old former male stripper just purchased Saints and Sinners, a Louisiana pub, and has plans to turn it into “a racy theme bar—complete with all-male revues.” He hopes to finish up the renovations by November in order to throw a big celebration bash. Can we be on the guest list? It’s a well-known fact at this point that Magic Mike is loosely based on Tatum’s experiences as a male stripper, so we’ll just have to wait and see whether he’ll hit the stage again and dance until he’s covered in $1 bills.” Read the full story here. 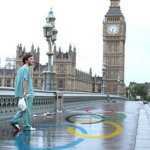 From The Braiser: Rounding out the Olympics coverage on the Abrams sites, The Braiser checks in with the food scene in London — and it looks grim. Writes the site, “Big Hospitality reports that due to the organizers of the Olympics warning locals and visitors to stay away from high-traffic areas, restaurants that aren’t close to any of the Games’ venues have seen their clientele drop — for some restaurants, by 50%. ‘The city is much quieter than usual,’ noted Lucy Knowles, the owner of a chain of local restaurants… ‘About six or eight months ago, I was thinking, ‘here we go, let’s coin it in!’ But it’s been the complete reverse.’ That’s right: the Olympics officials were so good at warning people to not mob the twisty, turny, cramped streets of London that they screwed over an entire industry.” Read more about the situation here.